Its been a sad September here on the nursery, not just because Vaughan is retiring after many years of great service but we’re losing something even older. 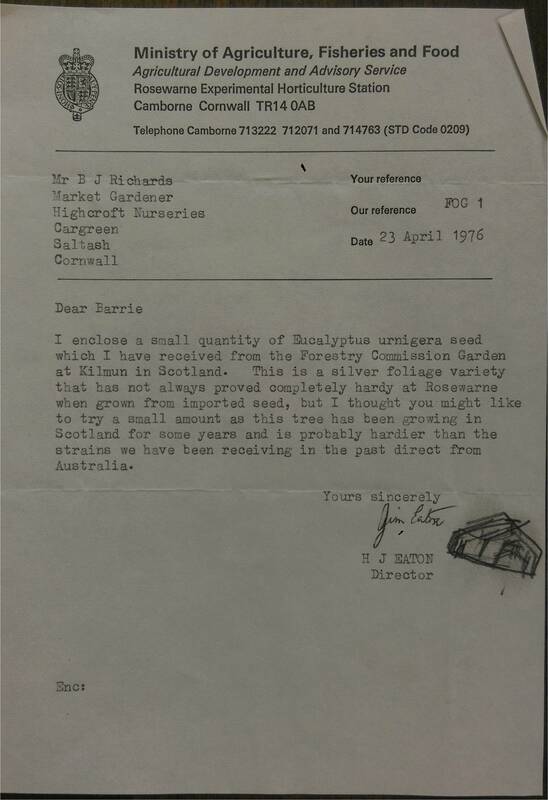 Back in the early Seventies my dad took part in the first ever UK Trial of Eucalyptus as a cut foliage crop for the flower industry. There were probably a few Eucalyptus trees in gardens around the Uk but until then they had never been grown and used commercially. 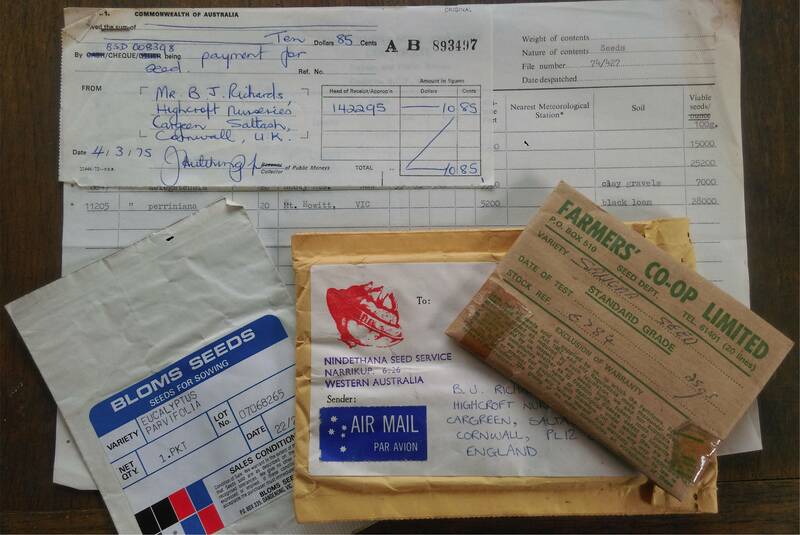 Working in partnership with Rosewarne Horticulture Experimental Station, Camborne at the behest of the National Farmers Union dad started receiving seeds and information from Australia, growing them on and planting them out. The trials were very successful and the work dad put in enabled growers all over the UK to flourish growing this new crop. 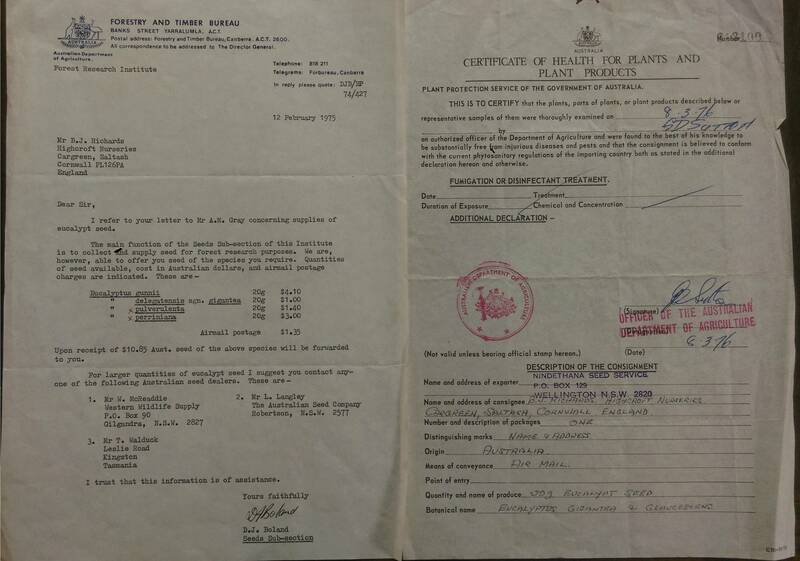 Trough all the changes our Nurseries have undergone over the proceeding 40 years dad always kept as many of the original trial trees as possible no matter how inconvenient it may have been having to plant other crops around them or not being able to plant crops there at all. 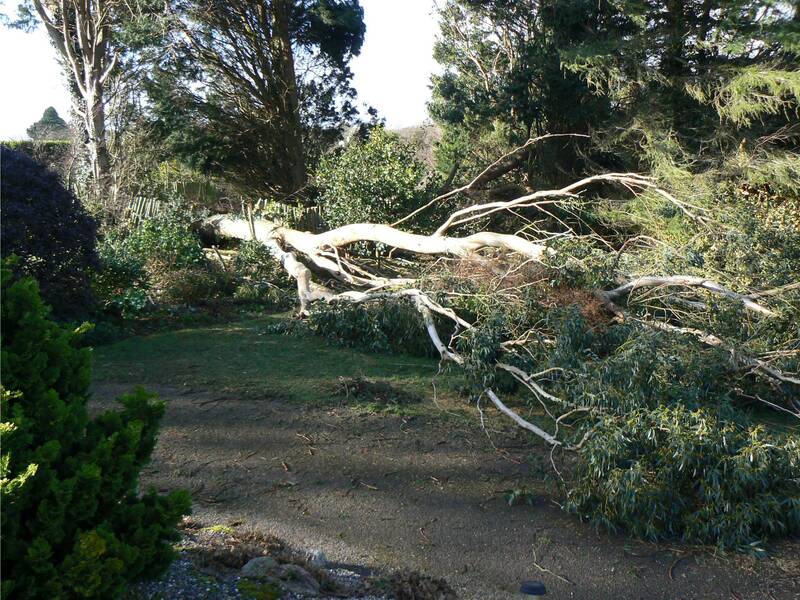 But then in the Spring storms of 18 months ago disaster struck, shallow rooting Eucalyptus are no match for gale force winds, over period of the few weeks we lost almost 50% of our old trees as they came crashing down one after the other. Fortunately we escaped any real damage to buildings and property although dads charity gardens took quite a flattening. 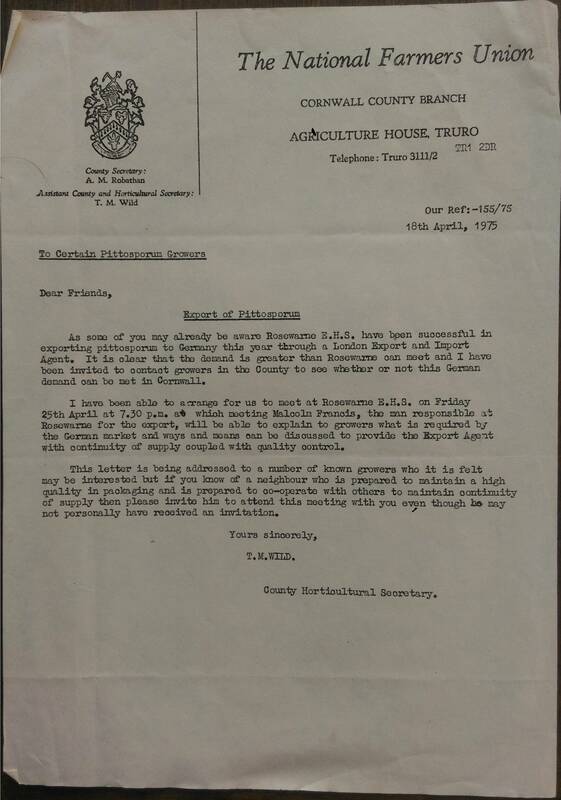 Over the proceeding days as the South West picked itself up Western Power came in and removed several more trees which were considered unsafe and a danger to power lines and it became evident that many more damaged trees would have to be felled. 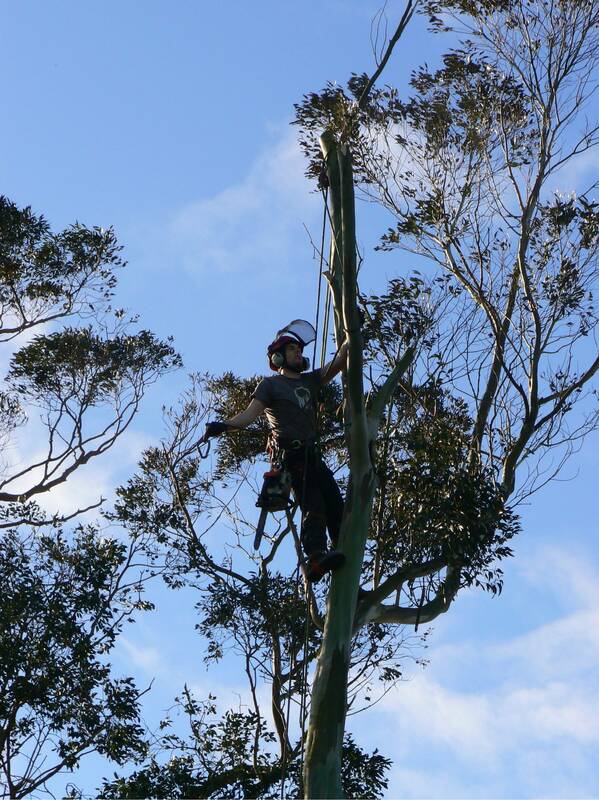 We’re lucky to have a great Contractor in our Village, Chris and Dan Billing were on had with all of the specialist equipment needed and several months later we were left with about 20% of the original trees and some hefty removal bills. That’s ok though, we still have some left don’t we, don’t we? 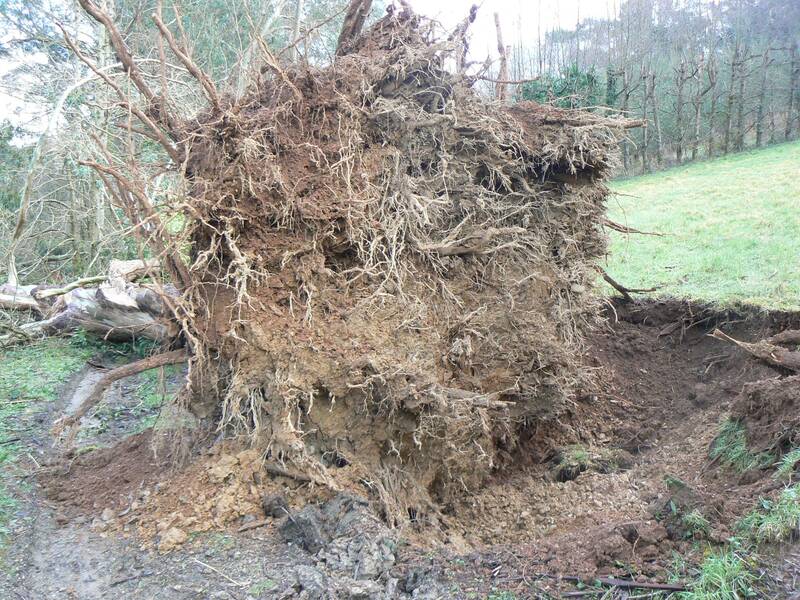 During our latest insurance review our insurers told us that any damage caused by the remaining trees would not be covered in our policy and it would be in our best interest to have them removed. 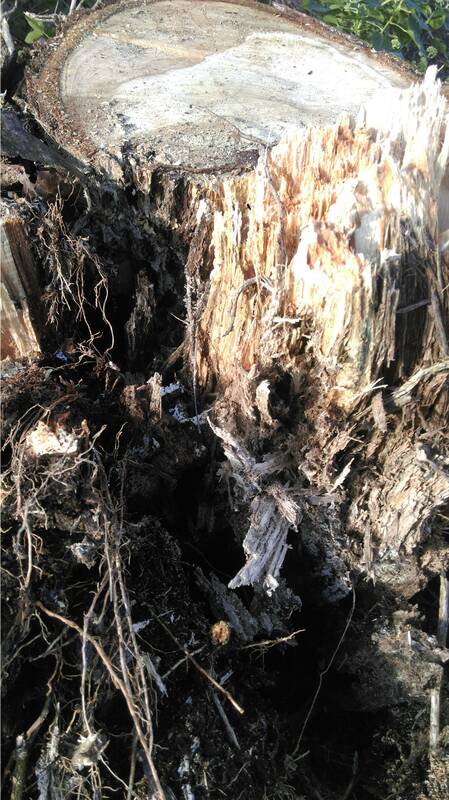 We thought long and hard about the decision, we looked at all the trees to see if they would cause any damage to anything if they came down and that’s when the health and safety issue was raised. Dad loves the trees but if someone were to get hurt that would feel worse than losing them so one by one they are coming down. Most of the nursery is now cleared and last week the Coombe trees came down, just in time too as some of them were leaning over or rotten half way through the trunk. 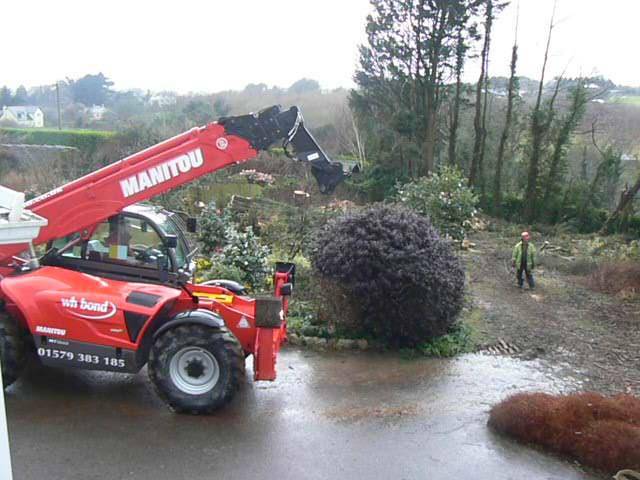 We’re just left with ‘Burt’ in the middle of the current foliage plantation but Burt is the biggest tree we have and Chris & Dan need the largest special equipment they can get so until the giant Manitou comes next week Burt has a stay of execution, we still have one tree.